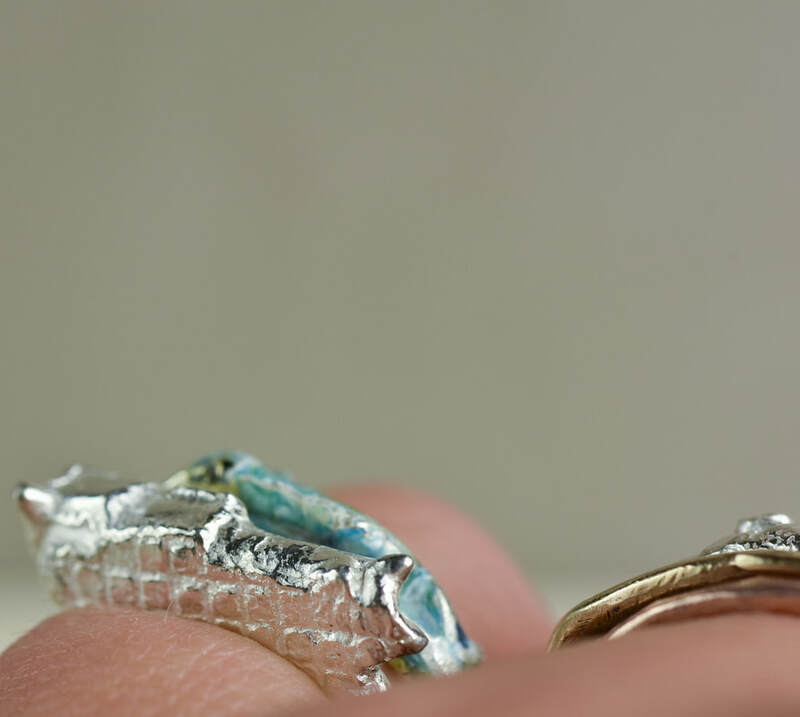 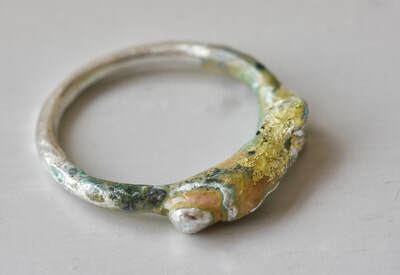 Beautiful and original silver and white, yellow and red gold rings. 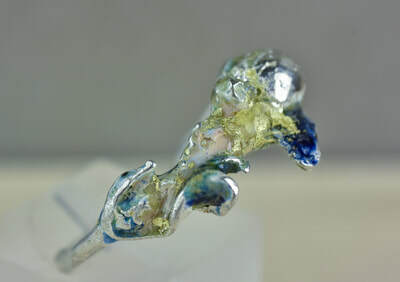 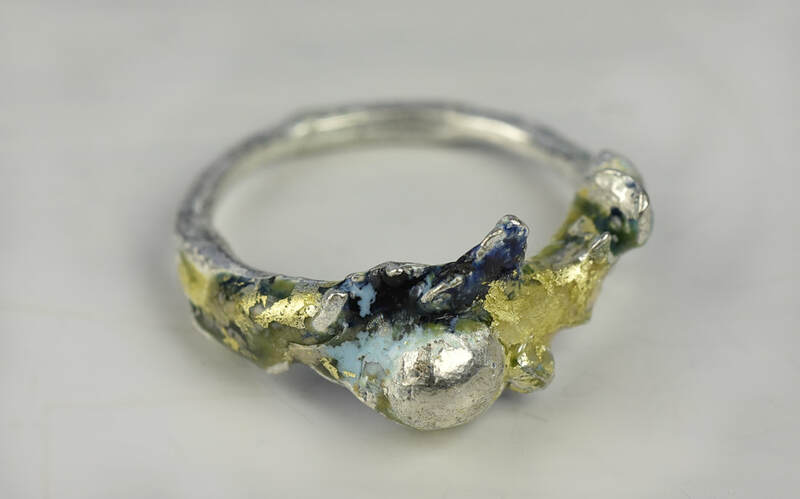 Some are enamelled, some are doubles, some combine silver with gold, some contain precious and semi=precios stones. 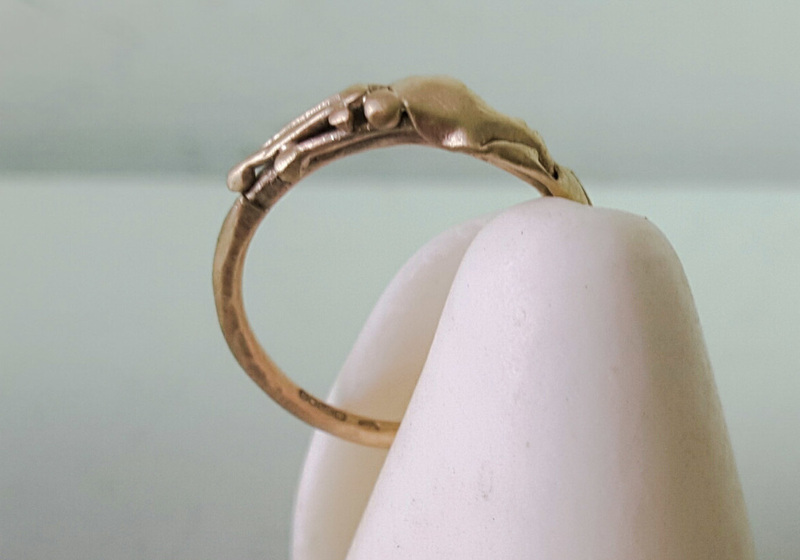 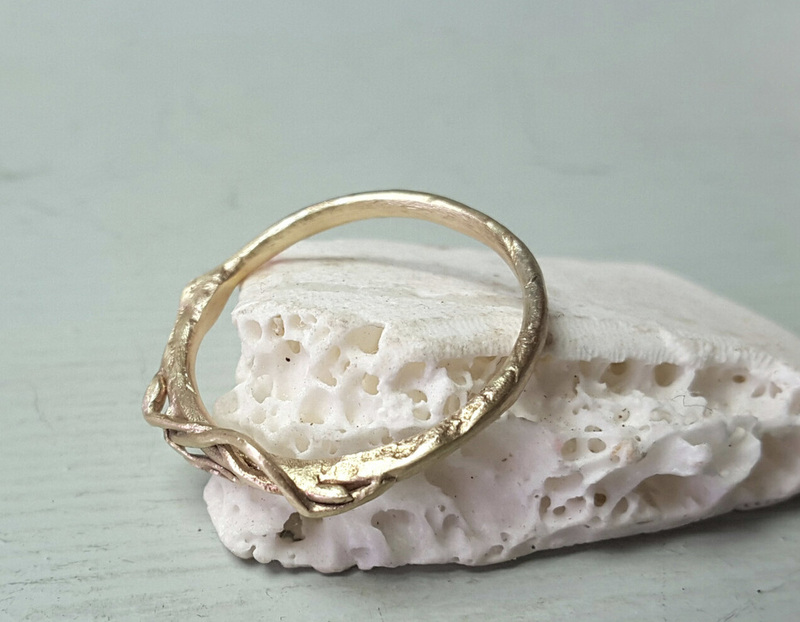 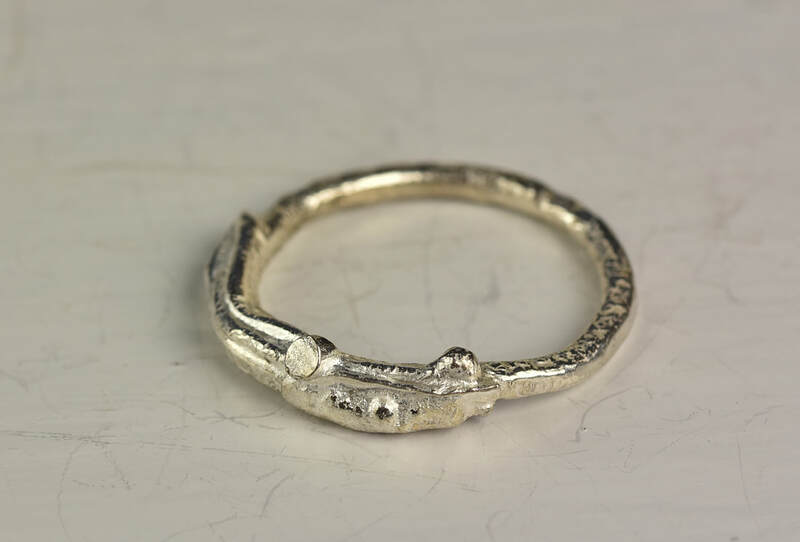 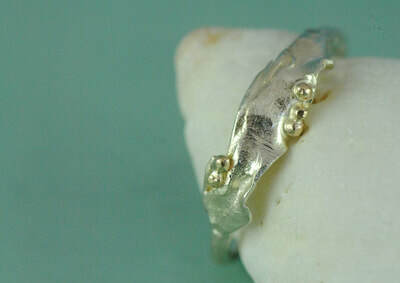 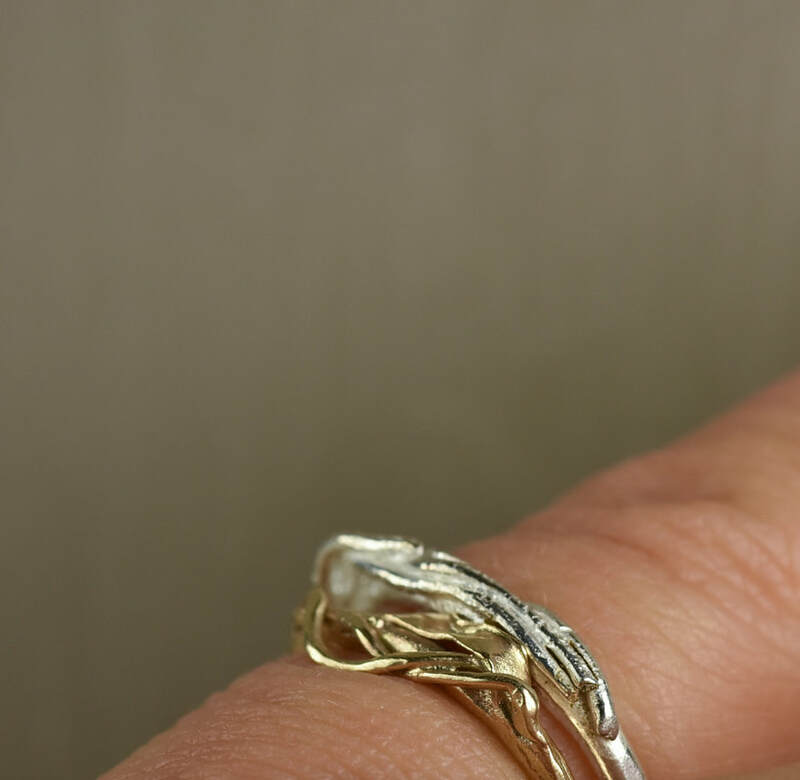 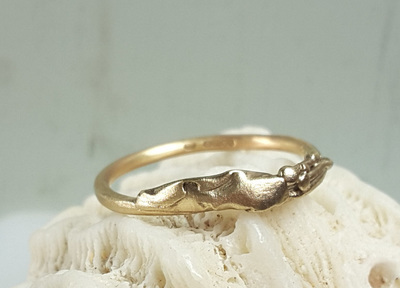 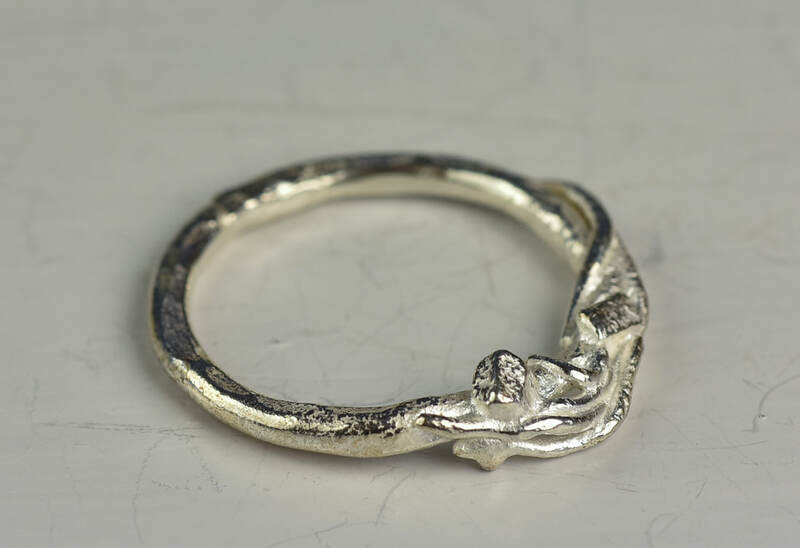 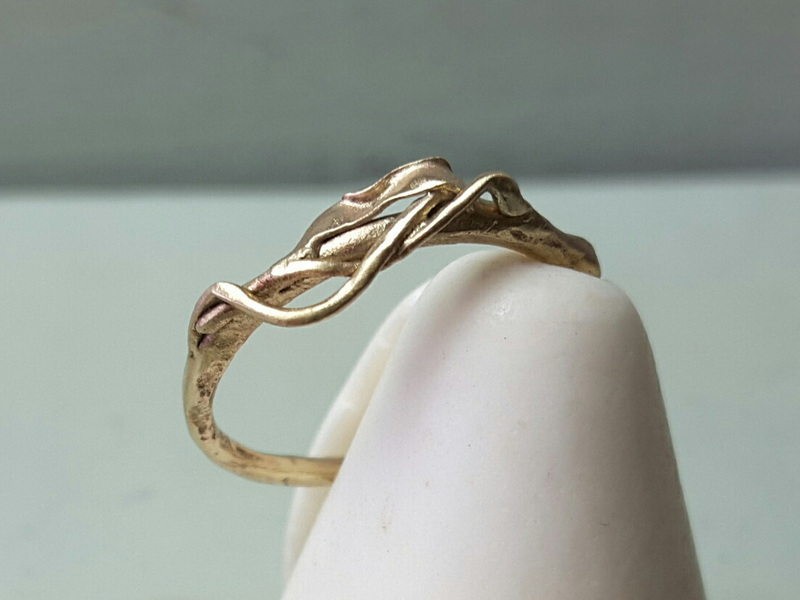 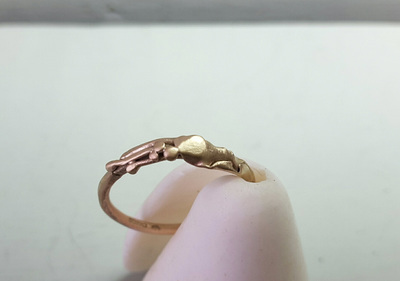 white gold ring with yellow gold detail. 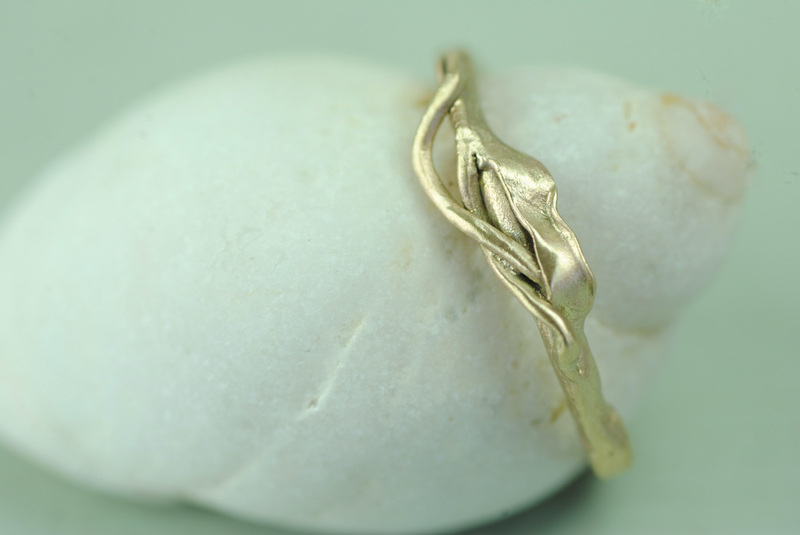 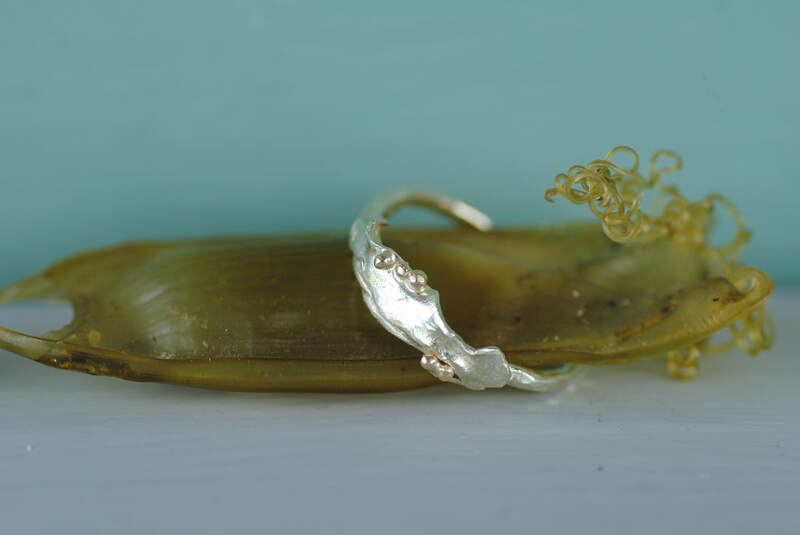 - sold -A shaped and contoured sterling silver seaweed frond ing with several layers of enamel and gold leaf adding depth and texture to the design. 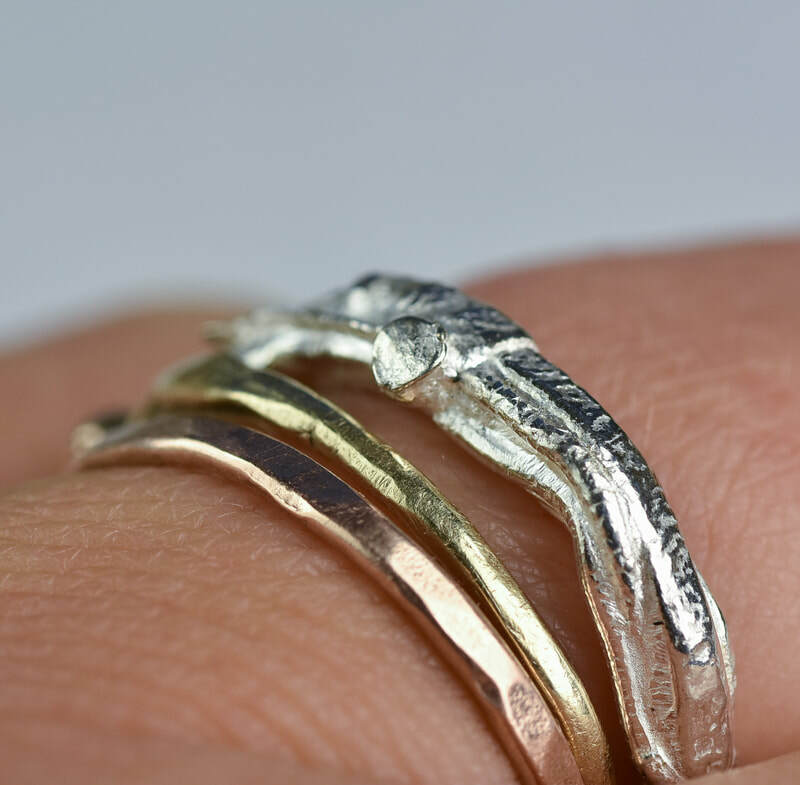 Shown worn stacked wih gold rings but great on its own or with silver too. 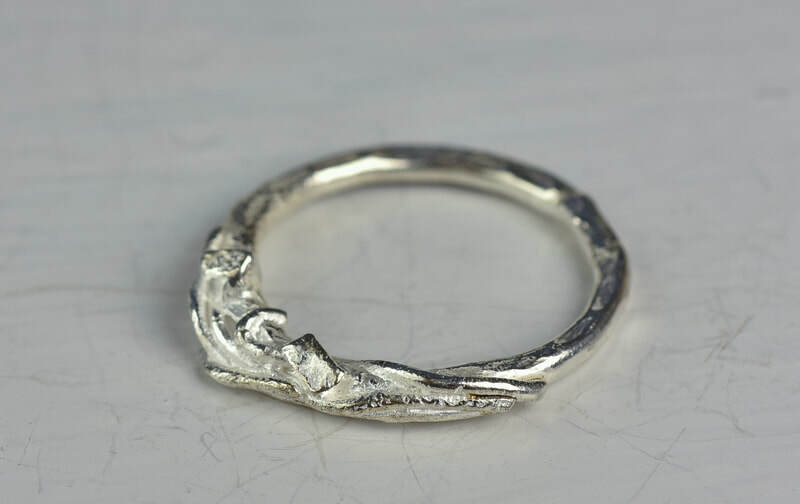 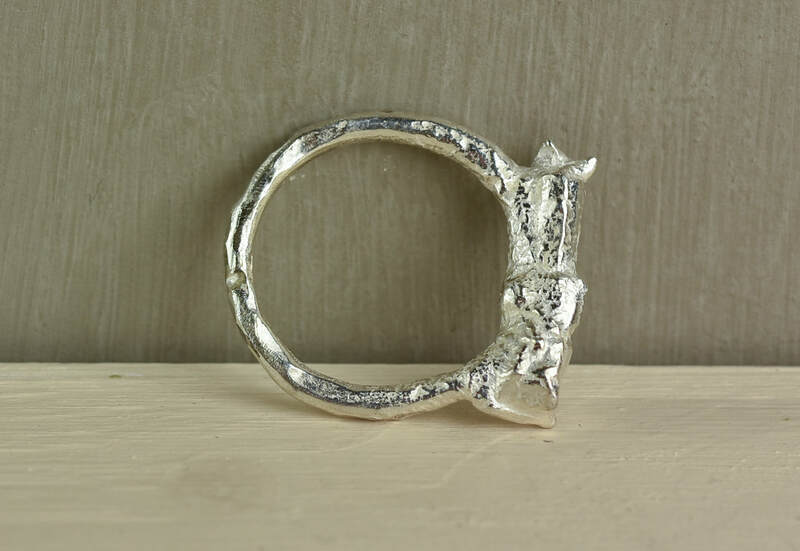 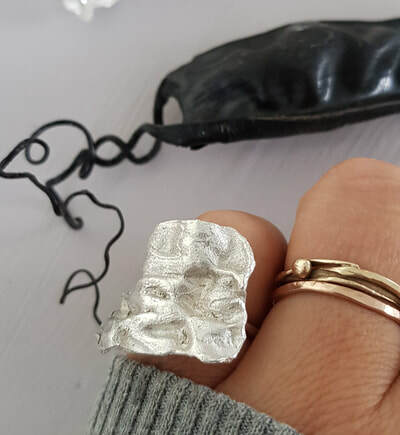 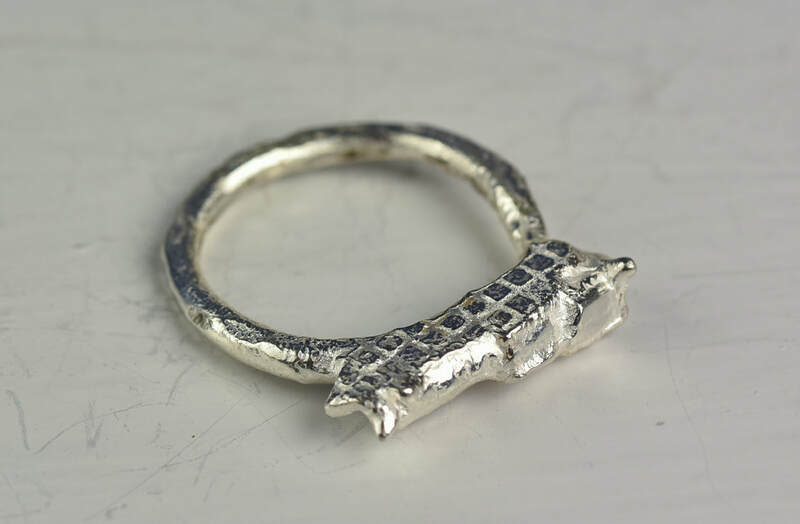 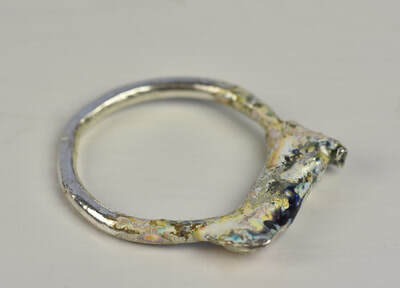 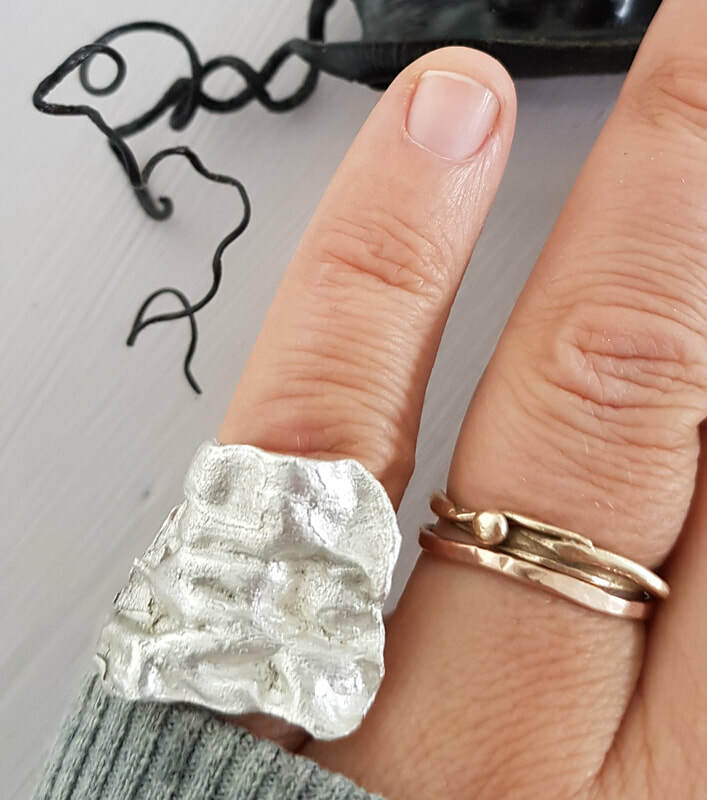 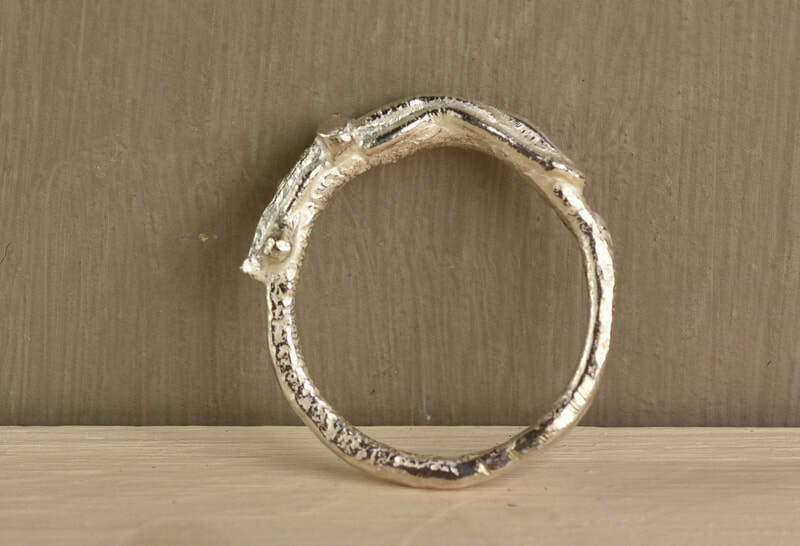 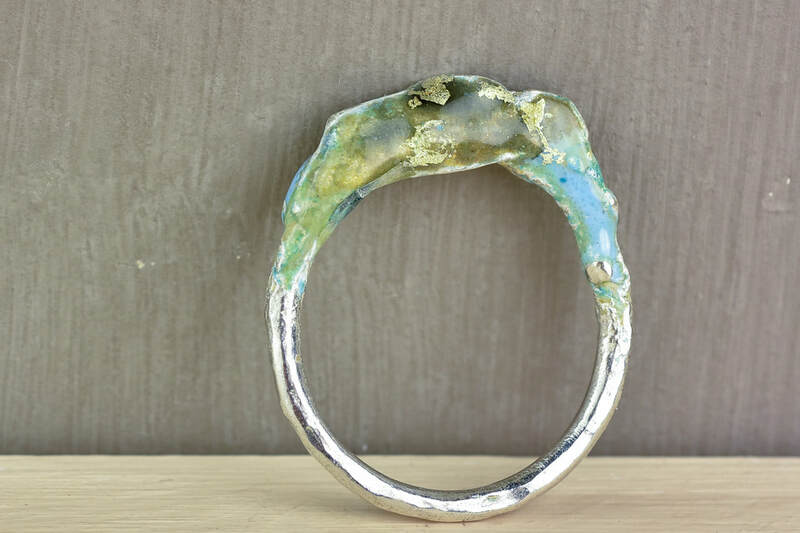 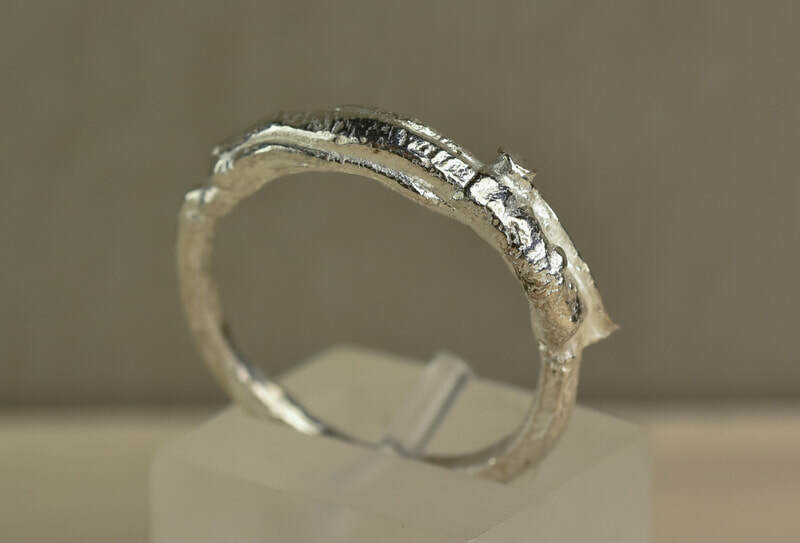 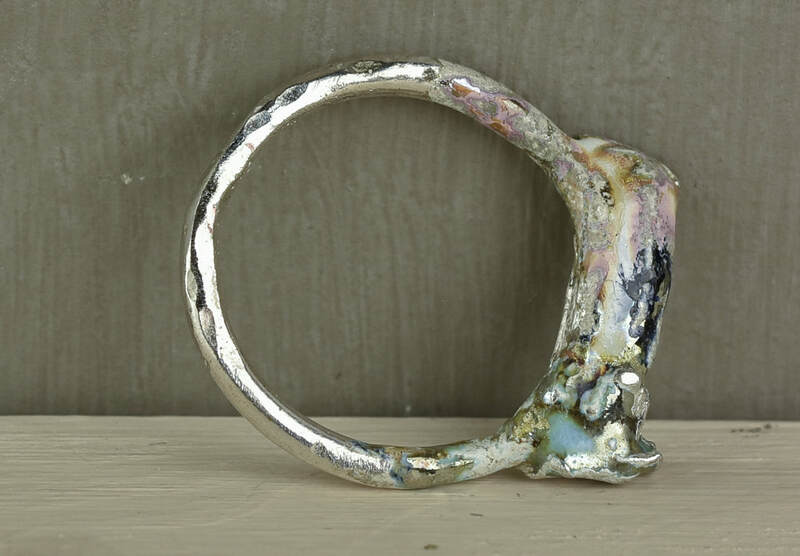 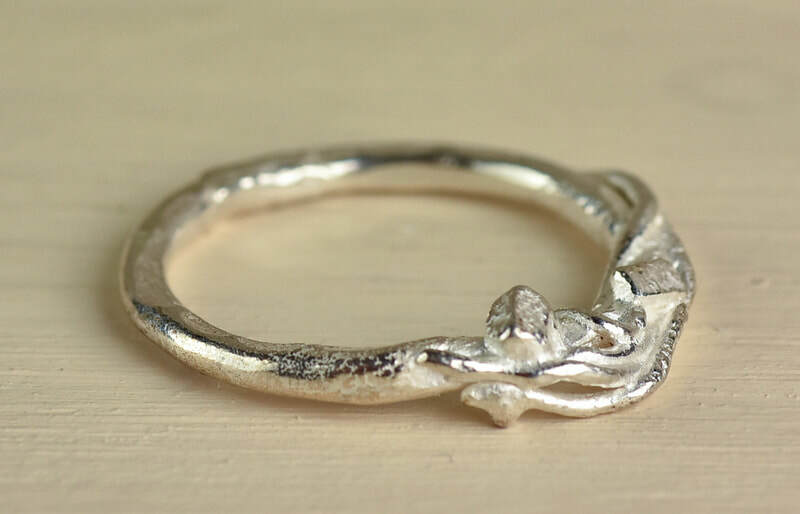 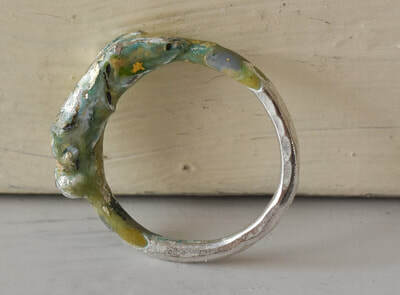 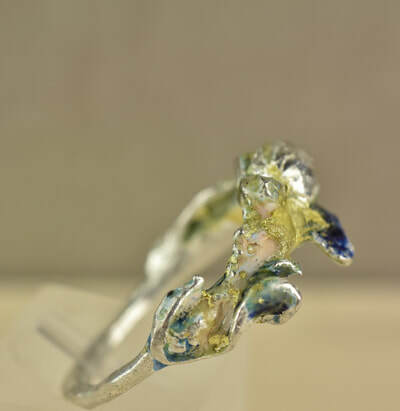 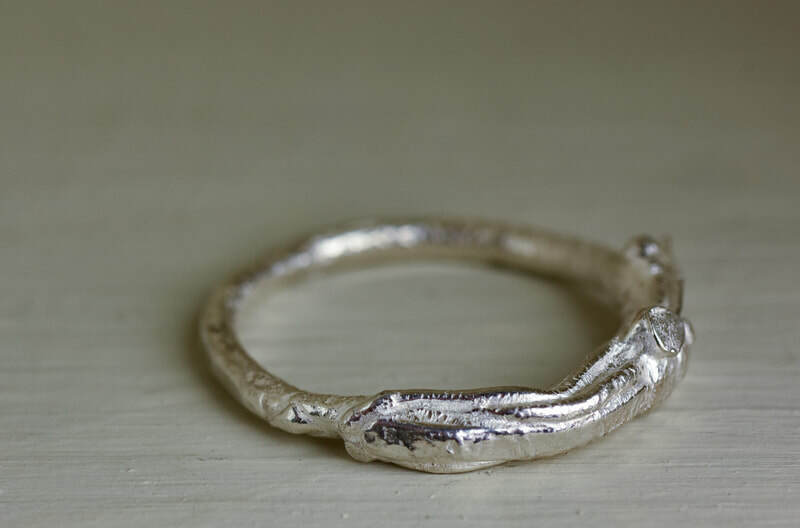 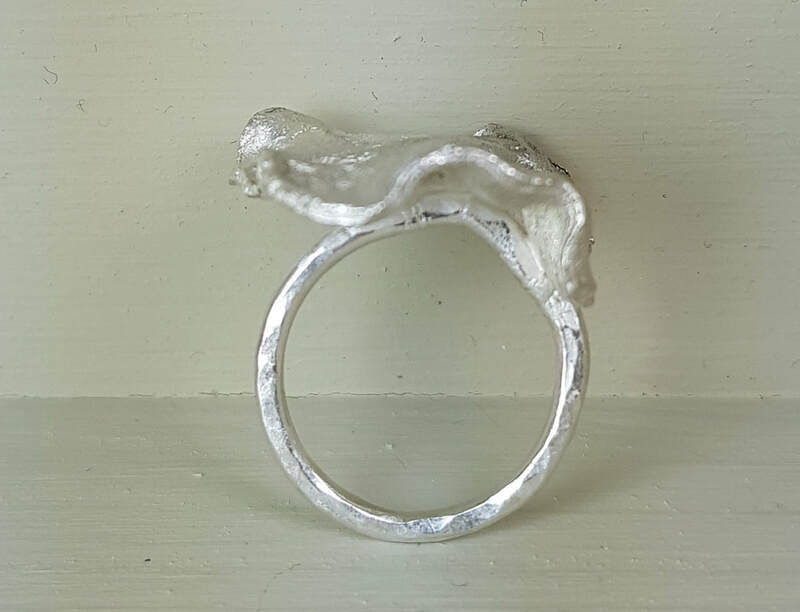 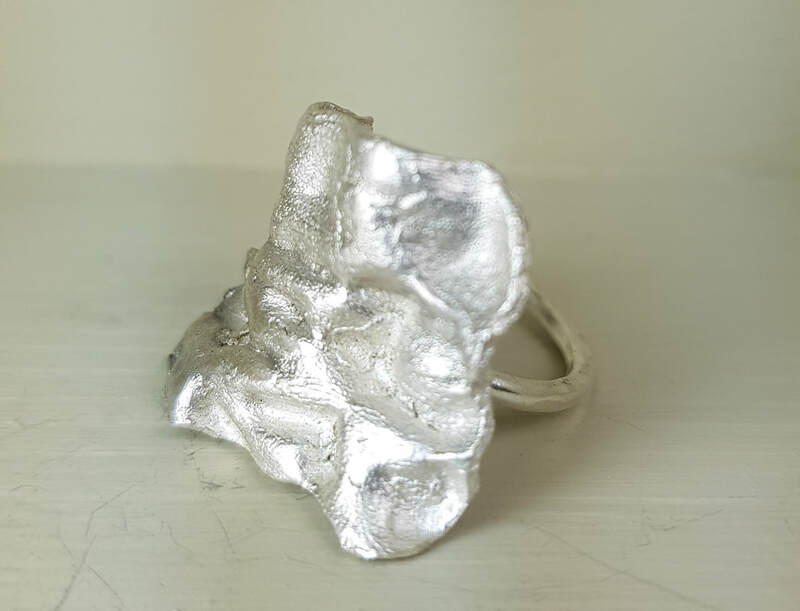 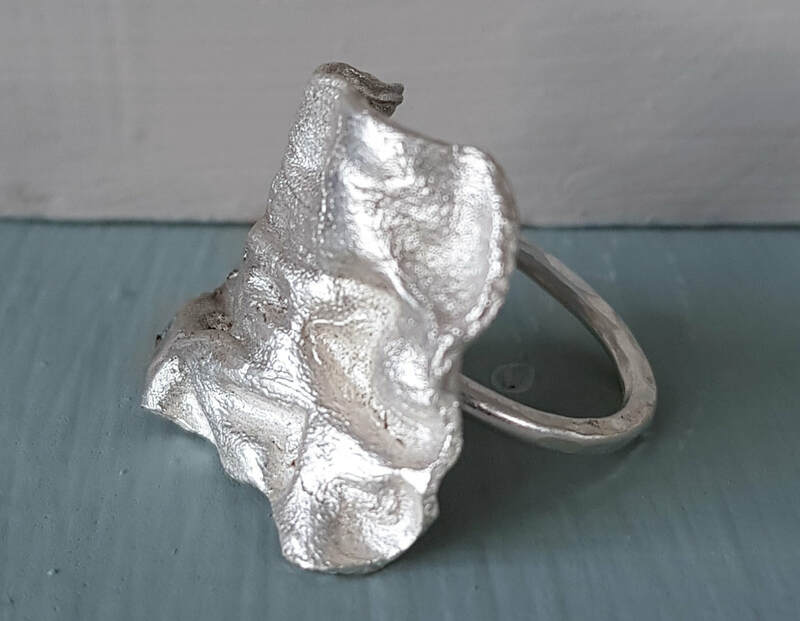 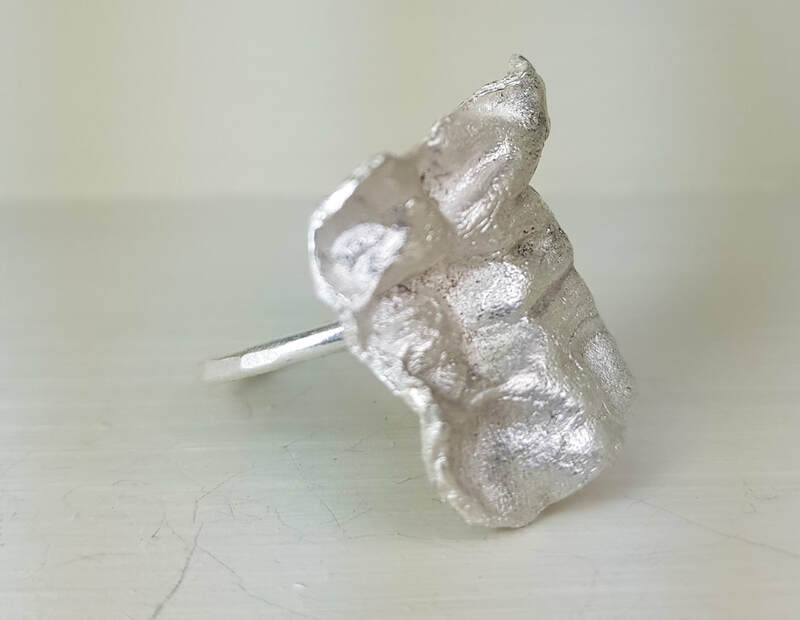 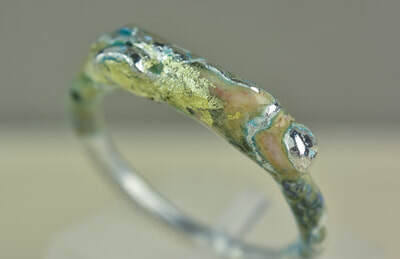 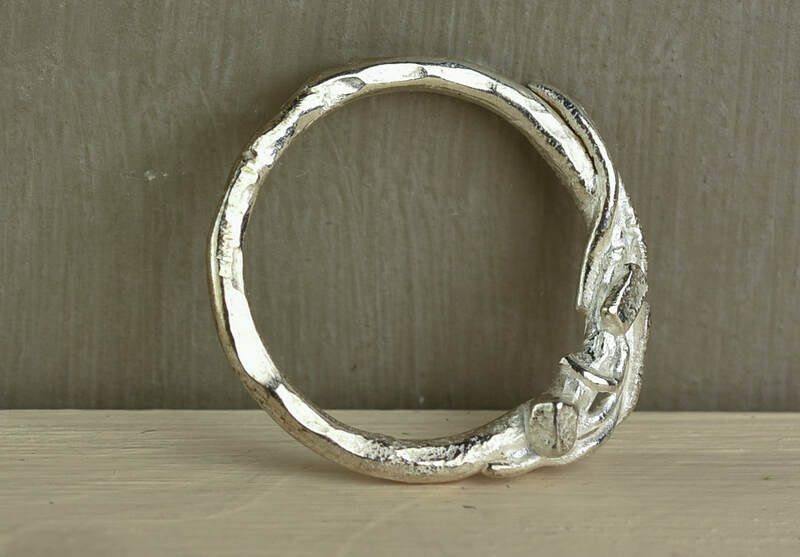 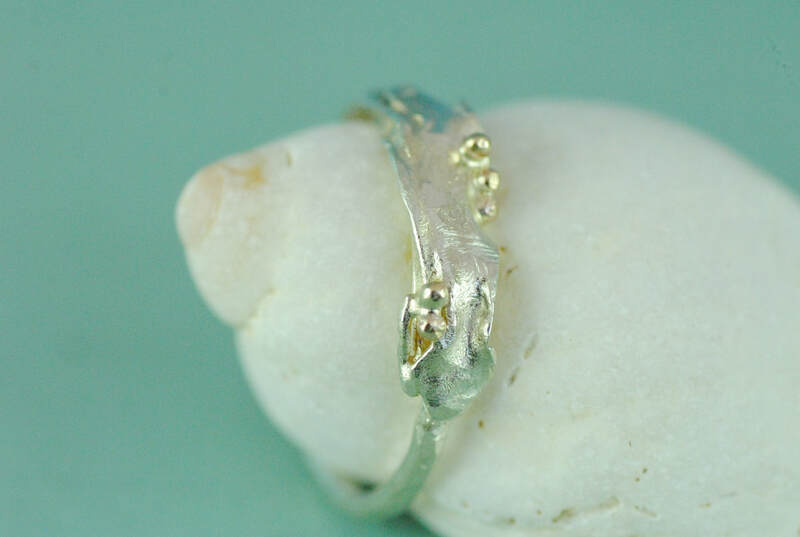 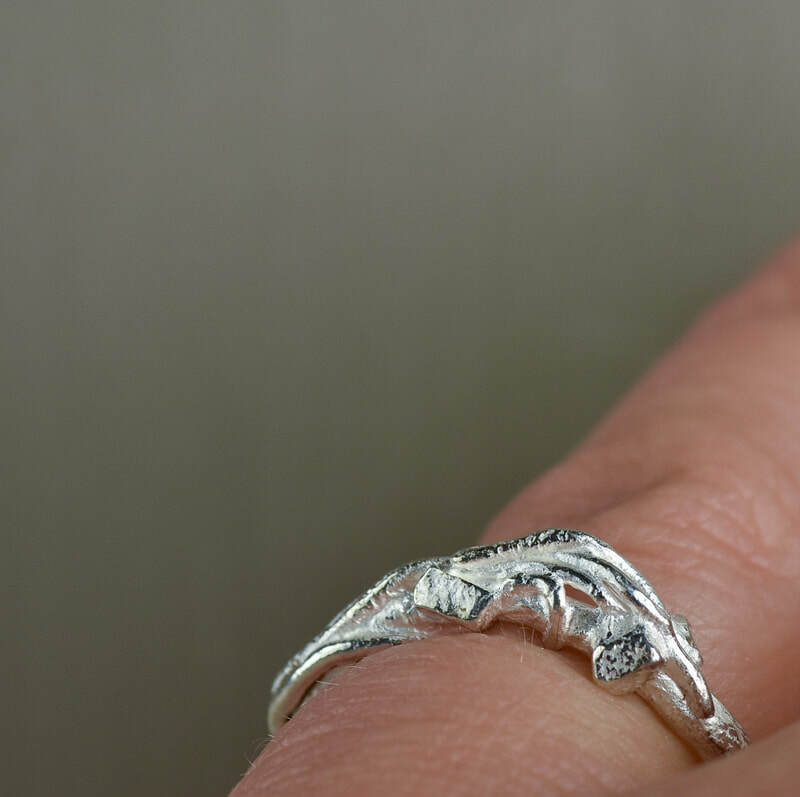 Sterling silver seaweed frond decorative ring with a textured finish. Chunky but delicate too. 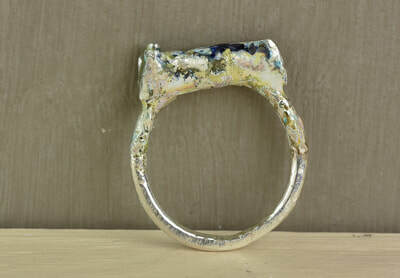 Please indicate your choice of size when ordering. 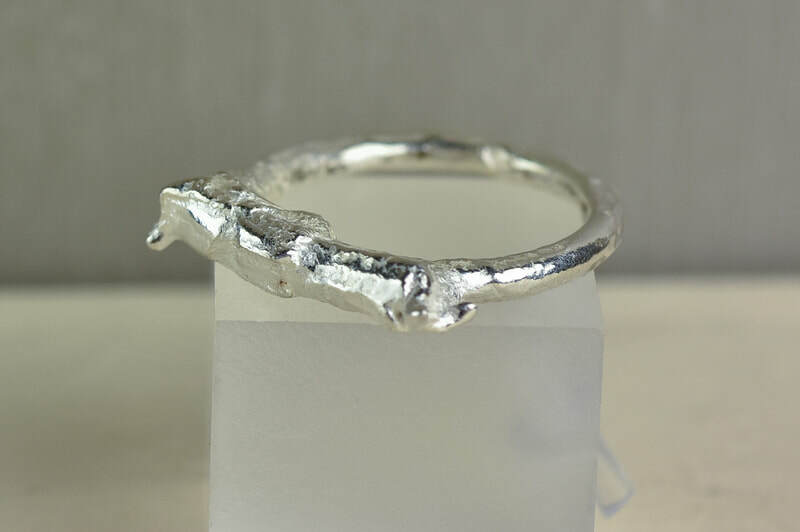 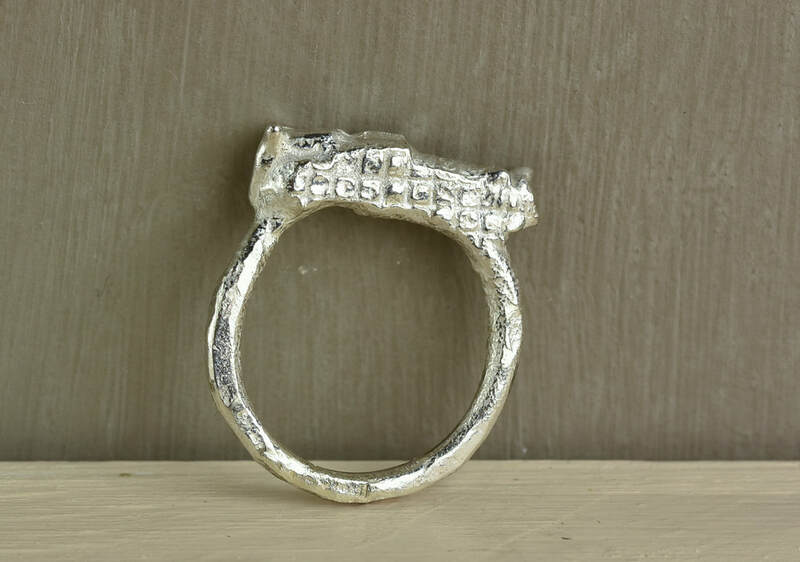 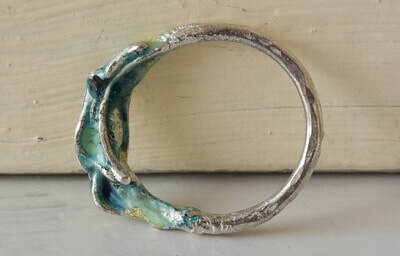 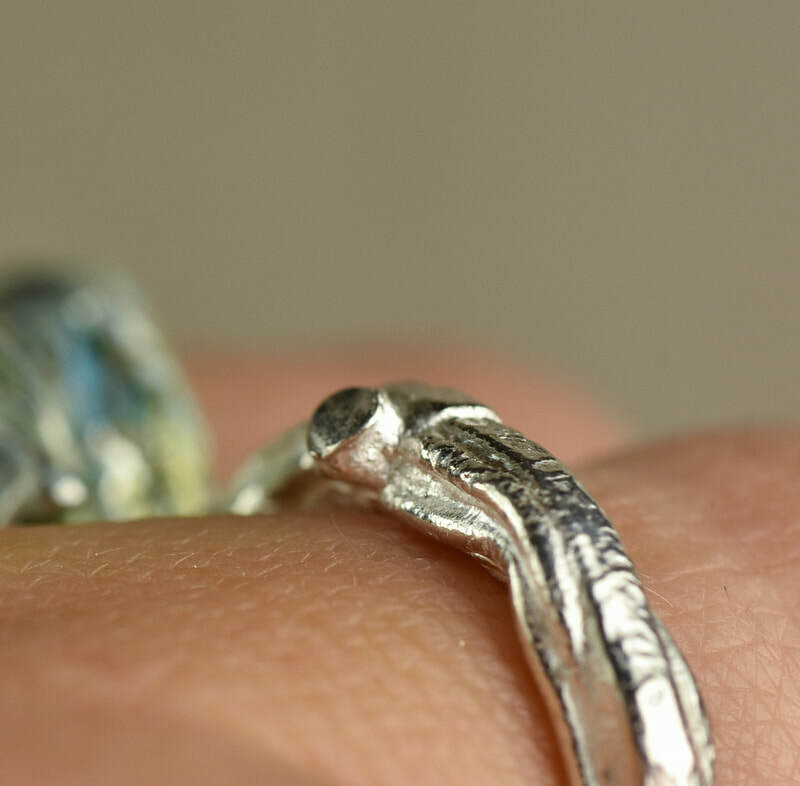 This is a sterling silver handbuilt one of a kind ring with a contoured ridge on top. 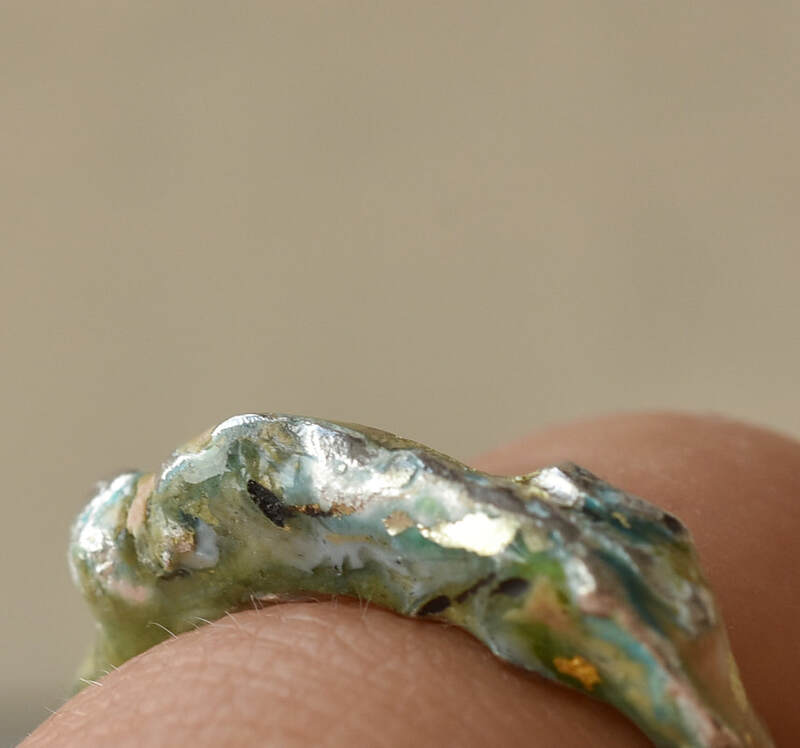 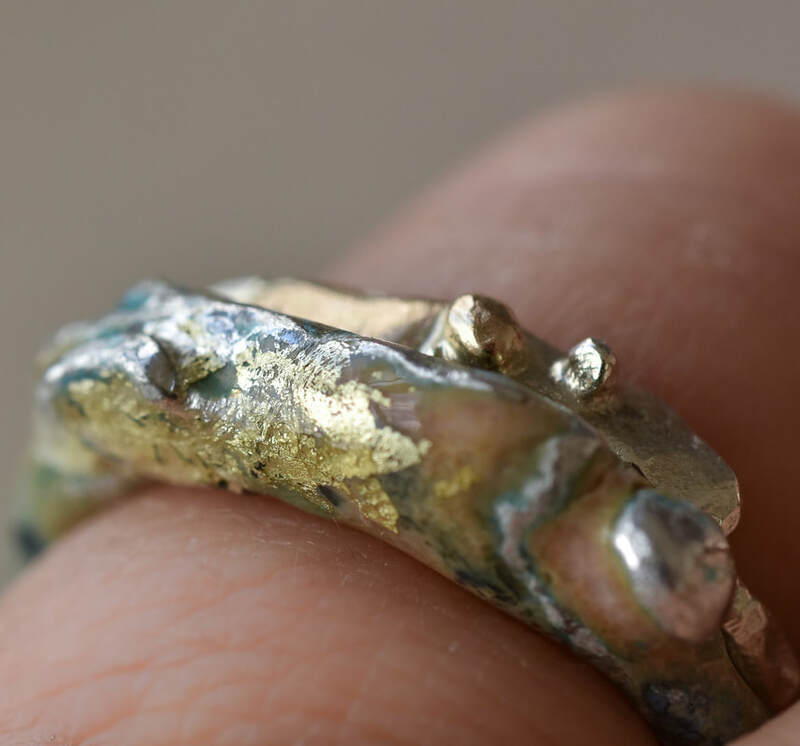 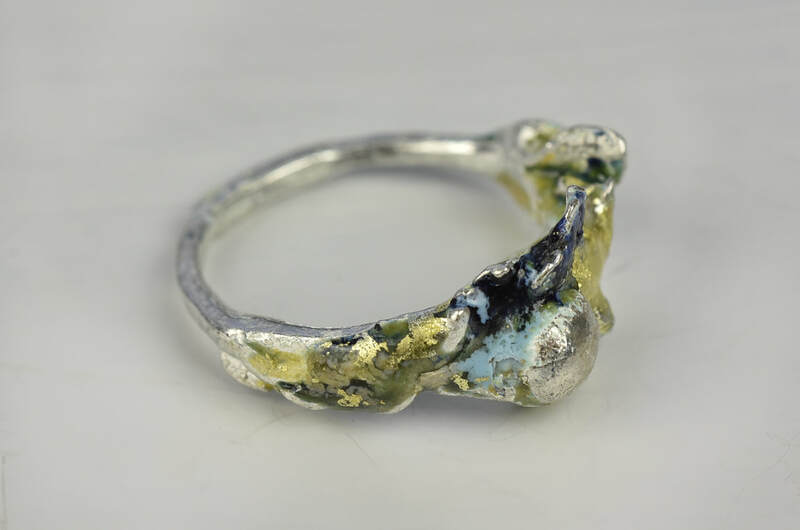 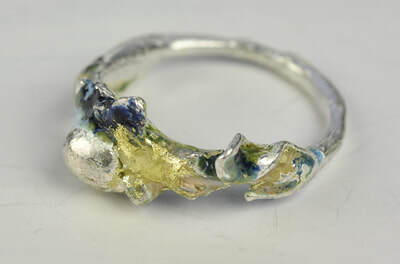 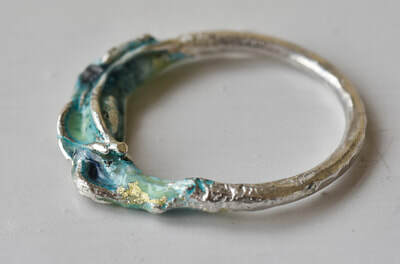 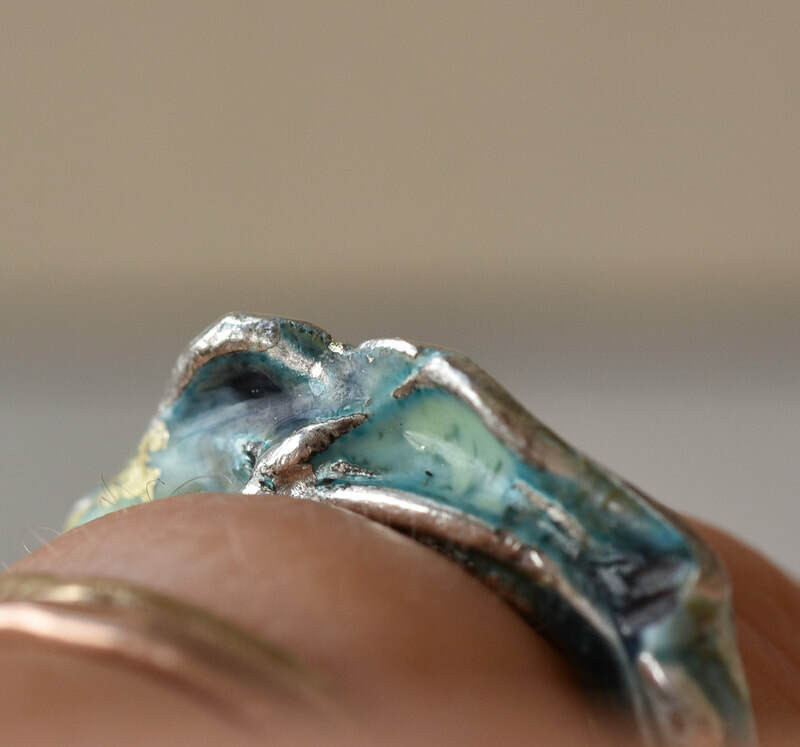 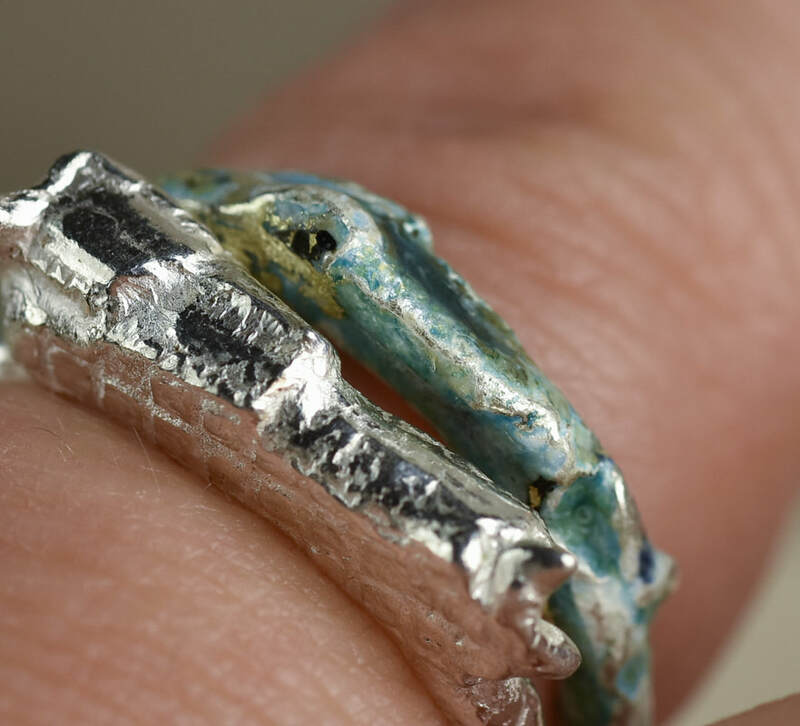 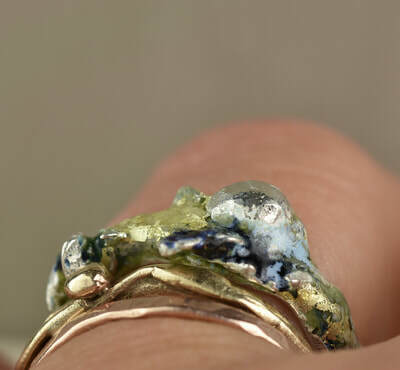 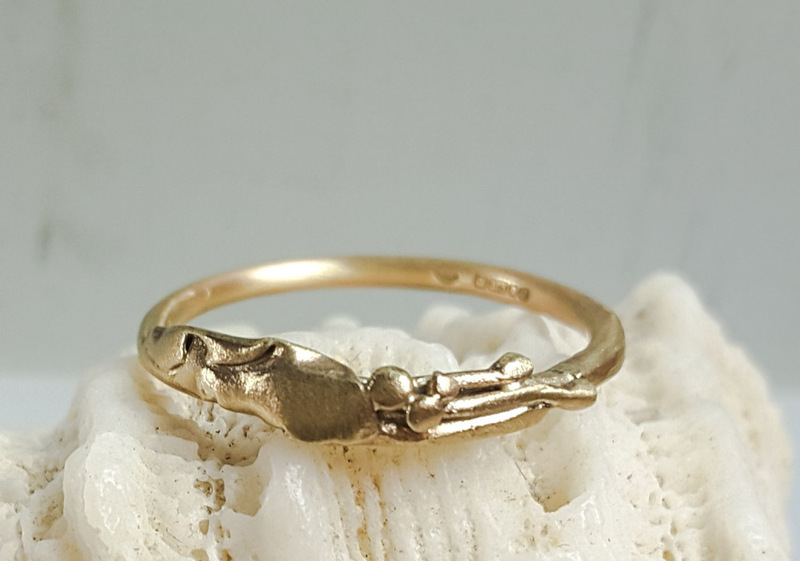 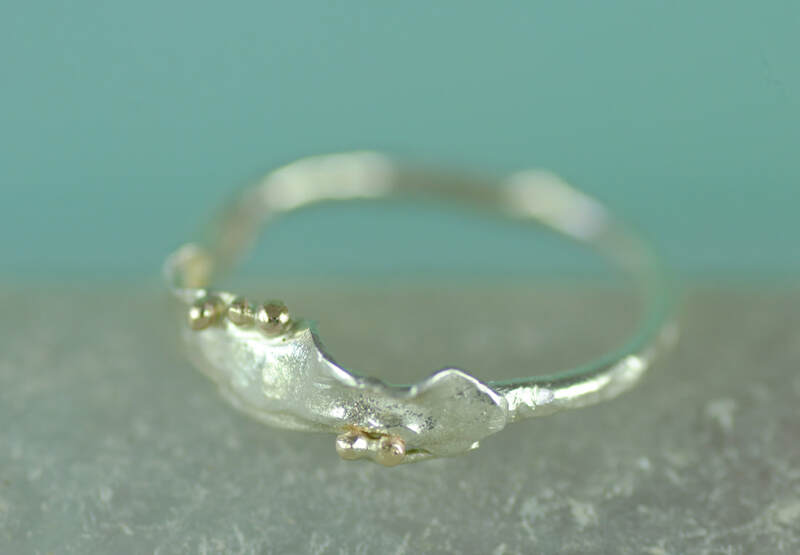 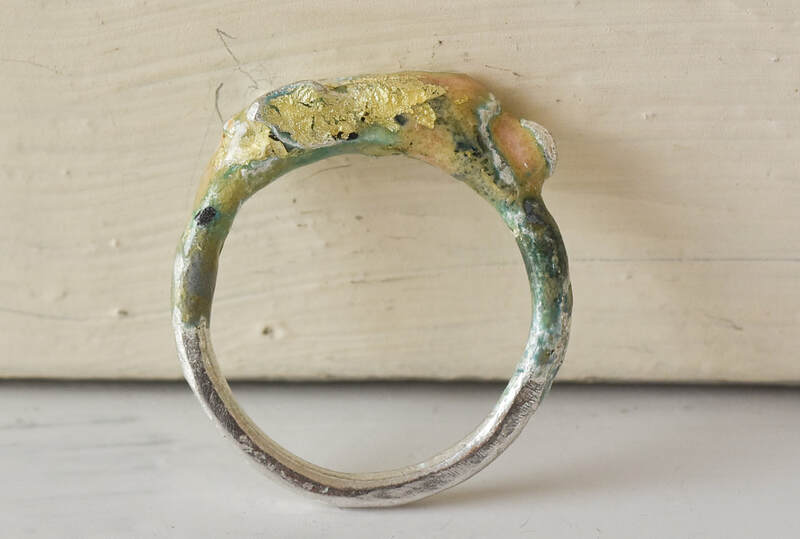 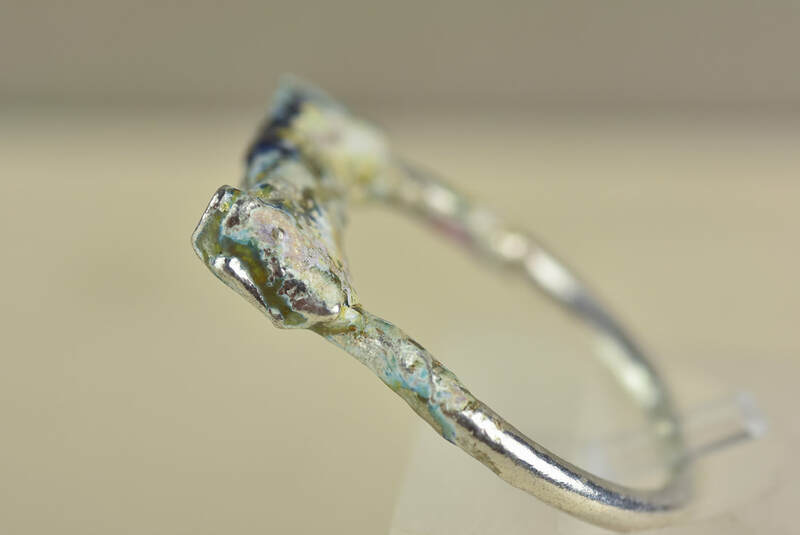 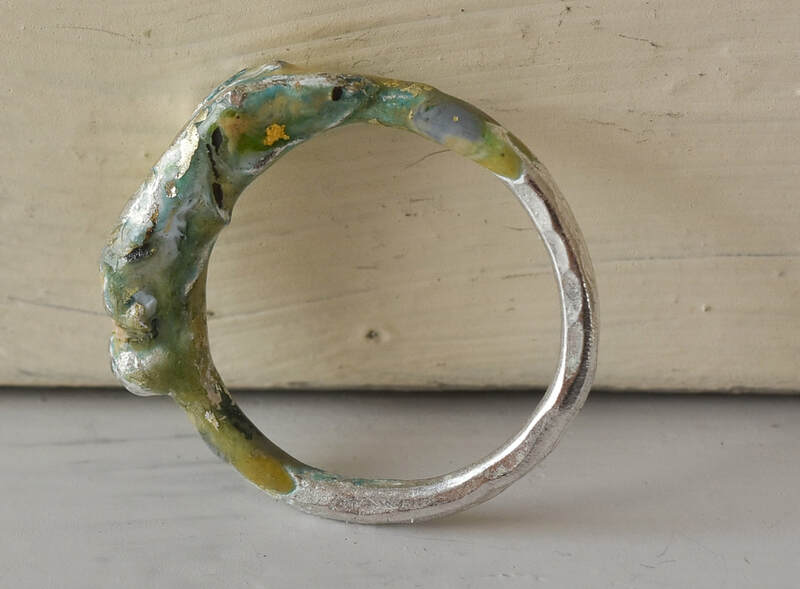 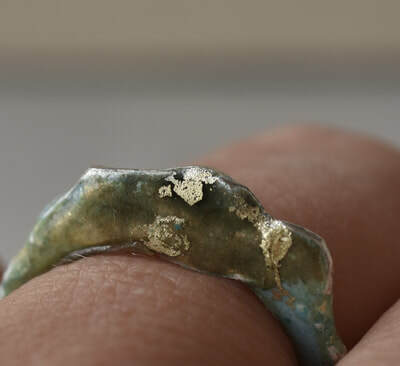 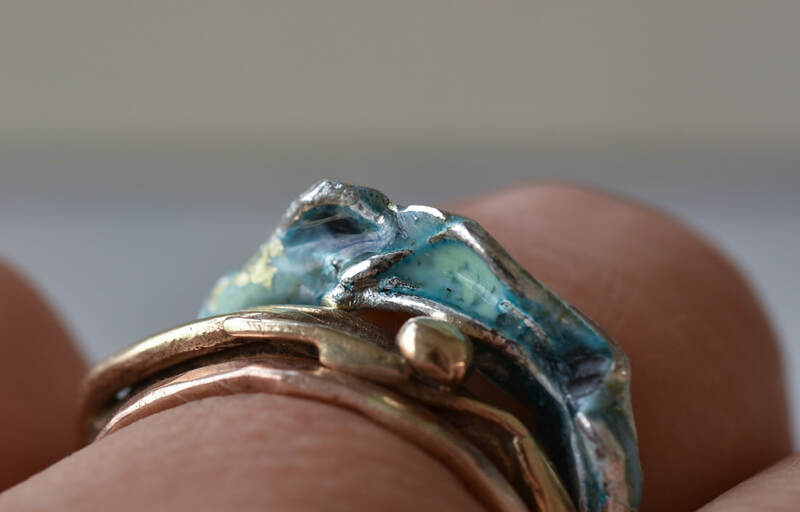 There's a sheer face on one side, a shaped face on the other.and layers of enamel with embedded gold leaf inside covering the top thrid of the ring . Currently a large size P this piece would probably struggle with a resize. 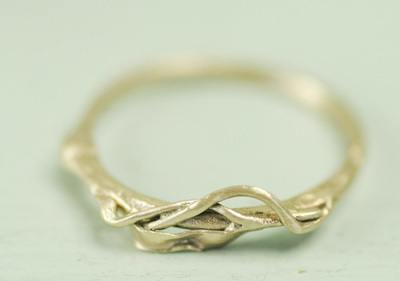 I like to wear it stacked with gold rings (as shown).